Have you always wanted to become a pilot? Mod War Plane is really useful for those who are so eager to conquer the sky MCPE. Well, in the world of Minecraft PE, such dreams always come true! Now the amazing aircraft will replace the chicken. It is based on the famous Spitfire, which was a fighter used by the British Air Force during World War II. In addition to flying, he also has the ability to destroy targets, even at long distances. 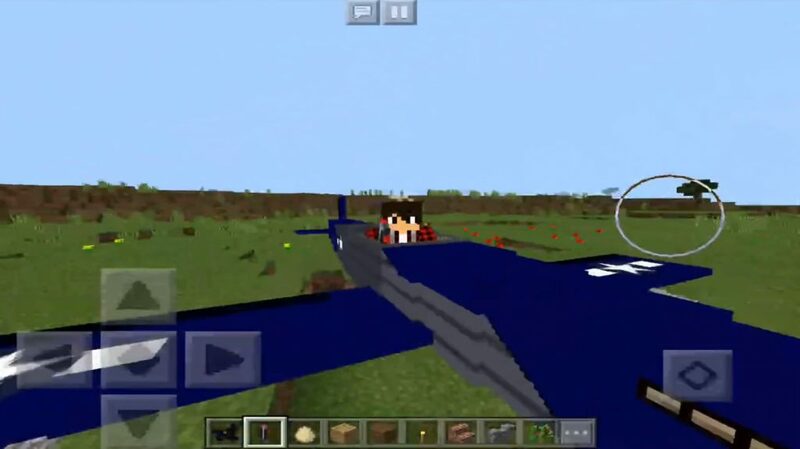 Since these warplanes are replacing hens, they can spawn everywhere in Minecraft Pocket Edition. But, of course, it will be easier for you to use a chicken spawn egg to create it without any problems. The aircraft has several different applications, but the main function is flight. However, it is only for one player. To start the engine of the aircraft, you just need to use a certain amount of fuel tanks (snowballs). Throw them on the plane, and you can safely send in flight! You can also use the aircraft storage (sneak and use a long press OR right-click) to safely take with you on your journey through the world of Minecraft PE fuel tanks and everything you need. To control the plane you will need a joystick (carrot on a stick) in your hand. If you run out of fuel, you will need to throw a few more fuel tanks on the plane. Fighter aircraft has two machine guns mounted on the wings. As soon as a hostile mob is detected (for example, a zombie) within a radius of 48 blocks, the machine guns will immediately begin firing. 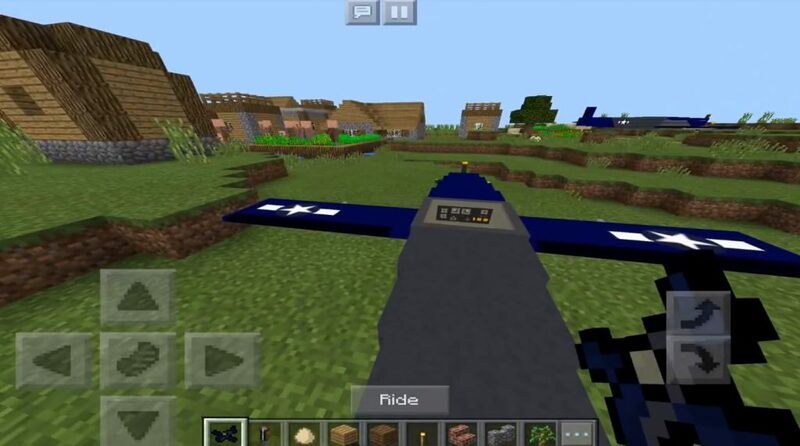 This MCPE world plane is presented in three different colors. At a certain point in time, you can use only one color, since this requires the installation of a certain texture package.